"5S relates to workplace organisation and forms a solid foundation upon which many organisations base their drive for continuous improvement." All organisations want to be more efficient and to reduce waste; they want to streamline their operations and increase their revenue. But, often, the question is: where do you start? The 5S methodology, developed in Japan, enables businesses to achieve these objectives through the implementation of five key steps. 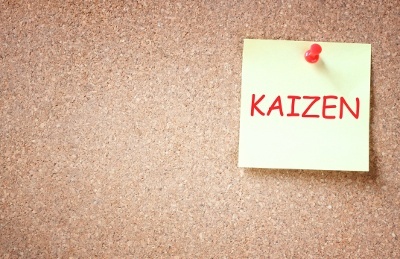 5S is derived from the philosophy of "kaizen", which simply means "continuous improvement". Japanese automotive manufacturer, Toyota, states that the philosophy of "kaizen" is one of its core values. This philosophy is supported by three key principles, one of which is 5S. At Toyota, 5S is practiced across the whole organisation, including in sales and marketing, administration, product development and management. Sort - sort out and separate that which is needed and not needed in the area. Straighten - arrange items that are needed so that they are ready and easy to use. Clearly identify locations for all items so that anyone can find them and return them once the task is completed. Shine - clean the workplace and equipment on a regular basis, in order to maintain standards and identify defects. Standardise - revisit the first three of the 5Ss on a frequent basis and confirm the condition of the Gemba (the factory floor) using standard procedures. Sustain - keep to the rules to maintain the standard and continue to improve every day. Once step five has been reached, the process effectively starts again, thereby leading to continuous improvement. There are several advantages to be reaped by utilising 5S within your organisation, from simply achieving a more orderly manufacturing environment, to driving higher profits. While aesthetics is certainly at play here, what's more important is the increased efficiency and excellence that results. As Lean Manufacturing Tools explains: "One of the biggest benefits of 5S is that problems within your processes become immediately obvious. Components that begin to stack up in areas that they should not be in, or empty racks and other visual aspects of your 5S implementation quickly show you exactly where problems are occurring. The challenge then is to do something about it!" For instance, if you identify and then remove unnecessary items from your manufacturing operation, your productivity will directly increase. In turn, this will boost morale and employee motivation. Each of these outcomes combine to improve your manufacturing operation – and, consequently, your bottom line. Ultimately, 5S empowers manufacturers to achieve quality consistency and delivery (QCD); to consistently produce high quality products that are delivered to their customers' needs, in the timescales that they require. 5S operates as part of a wider manufacturing system, which is often associated with Toyota. The Toyota Production System (TPS) is: "a way of 'making things' that is sometimes referred to as a 'lean manufacturing system' or a 'Just-in-time (JIT) system'." 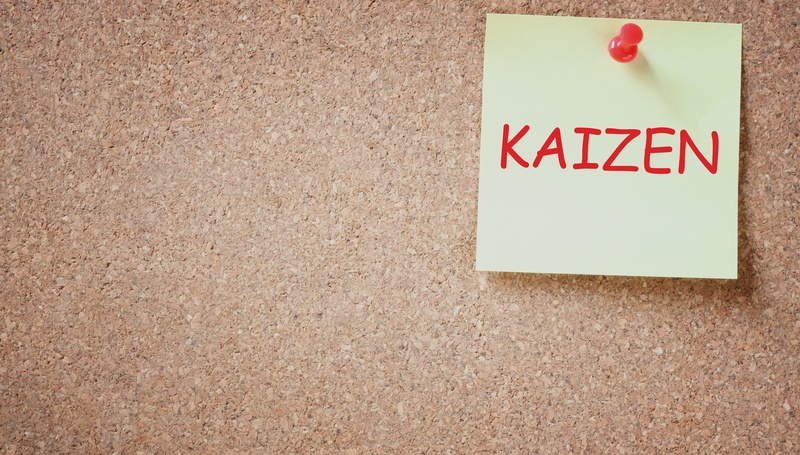 Within TPS, "kaizen" is just one of 13 pillars that support the entire system. The Japanese automotive manufacturer states: "The Toyota Production System (TPS) was established based on two concepts: The first is called 'jidoka' (which can be loosely translated as 'automation with a human touch'), which means that when a problem occurs, the equipment stops immediately, preventing defective products from being produced. The second is the concept of 'Just-in-time', in which each process produces only what is needed by the next process in a continuous flow. "Based on the basic philosophies of jidoka and Just-in-time, the TPS can efficiently and quickly produce vehicles of sound quality, one at a time, that fully satisfy customer requirements." Given that Toyota is the world's largest car manufacturer (with some stiff competition from others), it's really impossible to argue with their logic! Over the years, there has been some debate over whether or not a 6th "s" should be introduced - safety. Some argue that safety is an inherent part of the 5S methodology. Others suggest it warrants a much greater focus. Regardless of whether you practice 5S or 6S, it remains a methodology that promotes continuous improvement within a manufacturing environment by eliminating waste and enabling organisations to achieve QCD. These five (or six) simple steps are just one aspect of a larger set of principles guiding manufacturers in today's competitive market.